Dobbiaco is located at an elevation of 1.256 m and is protected by the rock walls of the Dolomites in the south (Cima Nove, Monte Serla) and on the other side the mountain range of Carinzia (Kärnten) and Cornetto di Confine (Marchinkele). Today Dobbiaco achieved great importance in respect to cross-country skiing. Here you find various contests of international level, like the world-cup and marathons. Besides cross-country skiing there are lots and lots of activity possibilities in winter, and during summer one can enjoy mountain-excursions on the bike or by rock climbing. Appreciate fishing, tennis, swimming and much more. This community, surrounded by the three peaks and the lake of Dobbiaco, will fulfil every desire. From the characteristic buildings, the Red Tower, the Grand Hotel up to the castle Herbstenburg, which was acquired by the brothers Kasper and Christoph Herbst to Herbstenburg in 1500, over churches like the parish church of San Giovanni Battista, the oldest junction of Tyrol and its passion chapels of the year 1500. The pilgrimage church of Santa Maria, already at that time a favoured place of pilgrimage, was rebuilt in gothic style in 1470. Over the reflection road you reach the small church of San Pietro in Monte. 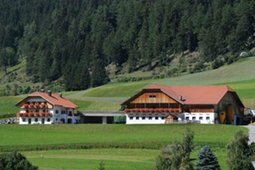 Along the road towards Cabonin Vecchia (Altschluderbach) you arrive at the Trenkerhof, where the famous composer Gustav Mahler spent his summer months during the years 1908-1910. Here he composed the „ninth symphony“, the incomplete „tenth symphony“ and the „song of earth“. The farm Föstlhof, dating back to the fifteenth century, is located in the center of Dobbiaco. It is situated in a quiet position, close to shops, pharmacies, doctors, bus stop, natural pond, playground, skating rink, sports fields and restaurants. 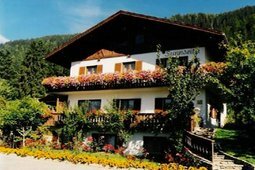 The Hotel Rosengarten is run by the family Strobl and is located only a 10 minutes walk from the center of Dobbiaco. It is an ideal starting point for hiking tours in the Dolomites, excursions in mountain bike, skiing trips or tours in the Dolomites by car or motorbike. 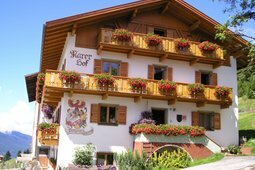 Warmest greetings from the team at the Hotel Moritz in Dobbiaco / Toblach! All rooms are new! 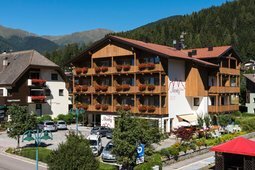 The friendly and cosy hotel in the sunny Three Peaks in the Dolomites is the perfect place to spend time relaxing amid wonderful surroundings. 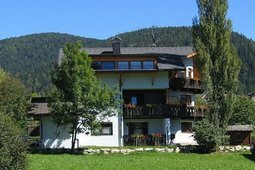 The apartments Sieglinde are situated in Dobbiaco, near to peaceful walking paths that offer relaxation and serenity to all those who need a rest from daily stressing life. Sport lovers will find here lots of possibilities of having fun. The Nantlhof is located in the San Silvestro Valley, about 1 km from Dobbiaco. 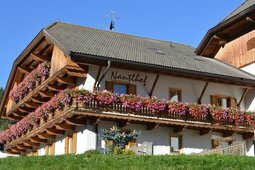 The Nantlhof is set in a very peaceful location, offering a panoramic view of the enchanting mountains of the Dolomites. The family-run rooms with breakfast Hiasl are located in a quiet and sunny position, where you can leave everyday life behind and refresh your spirit. Enjoy your holiday and feel like home in the four comfortable rooms! 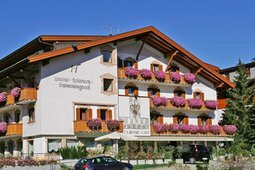 The Hotel Serles is located in the heart of the Dolomites, in walking distance from the center of Dobbiaco. Guests are welcomed in a friendly atmosphere with a level of service that will turn your stay into an unforgettable experience. 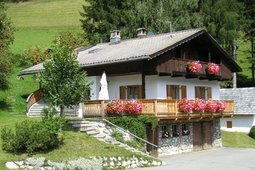 The family-friendly farm Kaflhof is situated in a quiet spot in the center of Dobbiaco. Shops, restaurants, playground, skating or sports field, natural swimming pond, a doctor and a pharmacy are located in the immediate vicinity. 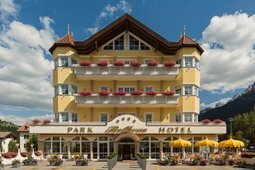 The Park Hotel Bellevue is situated in the beautiful village of Toblach, known for its breathtaking view on the mountains Three Peaks, that is called also the gateway to the Dolomites. 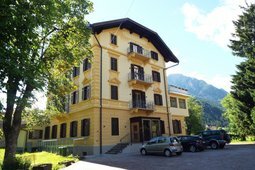 Casa per ferie Europa is located in Dobbiaco about 1.5 km from the town centre and 400 m from the railway station. It is surrounded by extensive green spaces that offer the opportunity to find moments of spiritual reflection and personal meditation. Welcome to the Hansen Hof, where you will live a relaxing holiday characterised by nature, animals and peace. 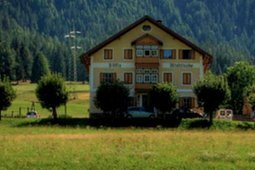 This children-friendly farm is located above Toblach, 4 km from the centre of the village, surrounded by woods and meadows, with a magnificent view of the Dolomites. The Gostnerhof is located above Dobbiaco at an altitude of 1,405 m a.s.l. surrounded by green lawns. The centre of the village is only 2 kilometers away and can be reached in five minutes by car. The panoramic view on the the Dolomites will inspire you since your arrival. 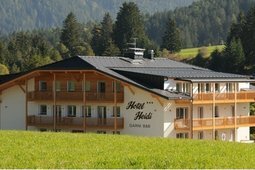 The Hotel Heidi in Dobbiaco in South Tyrol, surrounded by still untouched nature, is located in the heart of the most beautiful mountains in Europe – the Dolomites! Dobbiaco is an ideal starting point for unforgettable excursions or to practice your favourite sport. The family farm Marerhof lies in a wonderful location in Monte Rota near Dobbiaco, where you will spend a beautiful holiday. The family farm has two apartments and a double room. The farm Klaudehof is located in the middle of meadows on 1.260 meters above sea level. From here you can enjoy a splendid view over the Dolomites and the village Dobbiaco. It offers apartments for 2-3 people and 2-4 people. The Dolomites look different every day and that's what both tourists and local people say when they behold them. Every day, from the Hotel Tschurtschenthaler, you can gaze in amazement at this splendid and ever-changing view of the Dolomites. This family-run business is located in a sunny and quiet spots offering you one of the most beautiful and idyllic views right above Dobbiaco. 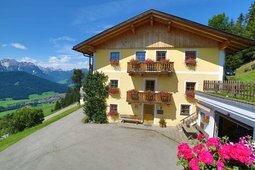 From the residence you can enjoy a wonderful view of the panorama of the Dolomites while enjoying the traditional South Tyrolean cuisine. 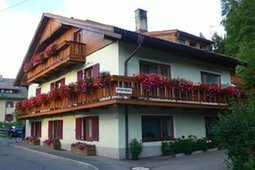 The small hotel Sunnseit'n is situated in a beautiful village 1,5km from Dobbiaco, on the sunny side of the valley, in a quiet and easy reachable location. The house offers rooms with breakfast and holidays apartments as well. 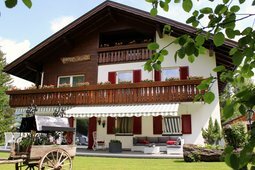 At the hotel Nocker you will discover the charm and comfort of a cosy family-run hotel. The Hotel Nocker lies in a central, but quiet location and offers culinary surprises in a cosy and comfortable ambiance – the ideal destination for a long or short stay. 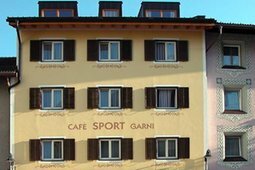 The Bed & Breakfast Café Sport is situated in the centre of Toblach, directly in front of its beautiful baroque church. There are many possibilities to park your car and the bus stop is just a stone’s throw from the hotel. 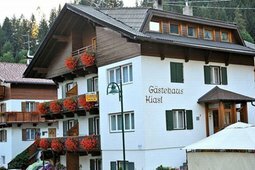 The hotel Kirchenwirt is located in Toblach between the two nature parks Drei Zinnen and Fanes-Sennes Braies, in the holiday region of the Hochpustertal Valley. A traditional and warm atmosphere and hospitality will make your stay here an unforgettable experience. 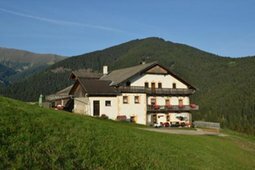 The farm Oberweberhof, a family run business, offers two rooms and three apartments in the small village of Valle San Silvestro, approximately 1.5 km from Dobbiaco. The house benefits from a quiet and sunny position with views of the Dolomites. The apartments Villa Rienzner are situated in a very quiet and sunny area, just few minutes from the historic centre of Dobbiacco, where there are stores, coffee shops and restaurants. 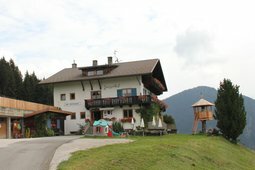 The village is situated 1256 m. above the sea level in Alta Pusteria. 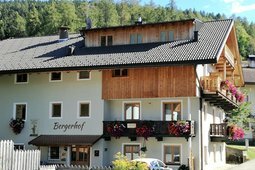 The farm Bergerhof is situated at 1250m above sea level in a very peaceful and sunny position. 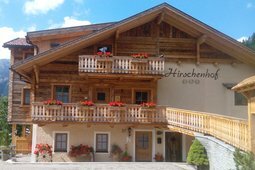 The apartment with balcony offers a wonderful sight on the Dolomites. 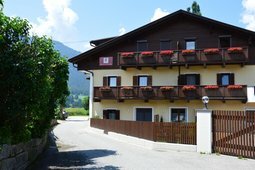 The house is located only 3 minutes walk form the centre of Dobbiaco. Welcome at House Trenker! Here guests will find nice apartments for 2 to 5 persons. All of them are equipped with balcony, kitchen, bathroom or shower and toilet. The house is situated in a central location, just five minutes on foot from the village centre with many shops. Holidays at the biofarm! Peace and relaxation for parents and entertainment for children. The lovingly furnished holiday apartments and the meadow guarantees adventures for the whole family. 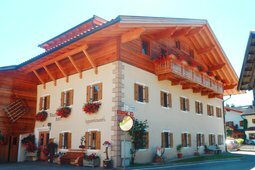 The Hotel Laurin in Dobbiaco is the hotel to feel good, where everything is in harmony: from the wonderful position in the Dolomites to the loving details, from its intimate atmosphere to the warmth of the hosts and employees. 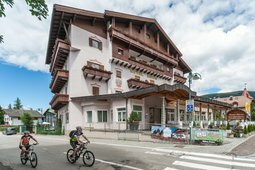 The Hotel Union is situated in Dobbiaco near the famous bicicle path Dobbiaco-Lienz (AT) and among the renowned Nordic ski path with Nordic Arena. The Comini family has been running the hotel since 3 generations. 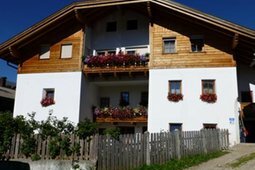 The apartment house Rienzner is located in a sunny and quiet location with wonderful views of the mountains Neuner and Sarlkofl. The village center with the church and the shopping avenue with many shops, cafes, pubs and restaurants is only a 5 minute walk from the house.